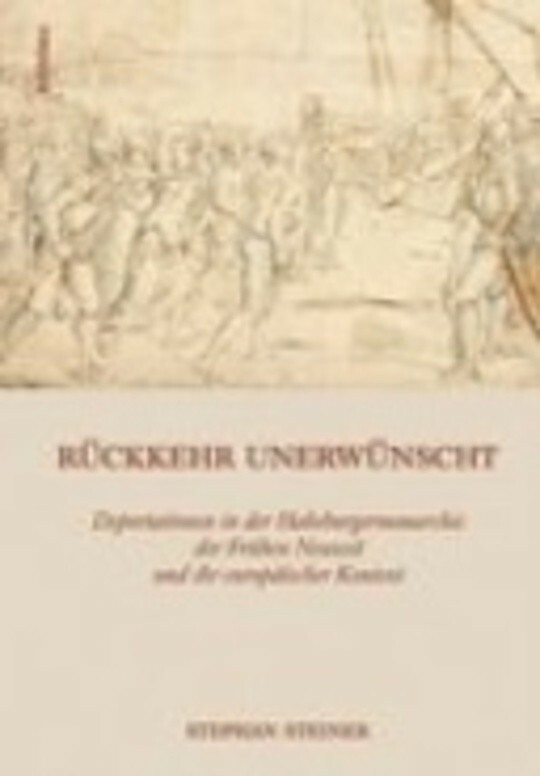 "Rückkehr unerwünscht" (Return Undesired) is the first systematic study on deportation in the Habsburg empire. The measures taken against protestants, deviants and losers in the modernisation process are both delineated in detail and in their european contexts.Concerning the historiography of the Habsburg empire this volume is breaking new ground in respect of deportation. Whereas scholars in the field of Contemporary History tend to view them as merely epiphenomena of totalitarianism, a more closer reconstruction of its "protohistory" reveals it as an instrument of punishment, of demonstration of power and of population policies that were widely and in a rather "modern" way used in the Habsburg Monarchy as early as in the 18th century.The first chapters are focusing on a synoptic view of the major European powers of the Early Modern Period (Portugal, France, Spain, Russia, the Netherlands) and their attitudes towards deportation as well as on the sürgün-method in the Ottoman empire. The following chapters are dealing with all hitherto known deportations in the Habsburg realm of the Early Modern Era as well as with the rekindled debate on it around 1900. The notion that a country without colonies would be uninterested in deportations as well, is untenable. On the contrary, the Habsburg empire with its measures taken against protestants, deviants and losers in the modernisation process was just numerically ranking in a significant position. The study is grounded on intense archival research, which brought forth a multitude of essential documents that were hitherto unknown or looked over. Eight case studies comprise different regions of the empire and are situated amongst most diverse social strata. All in all they are intended to serve as major building blocks for a "History of Violence in the Habsburg Empire" yet to be written. ALTE RECHTE – „EIN PURES NICHTS“?